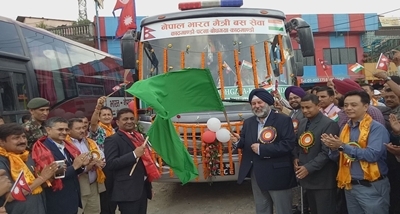 The first ever Bus Service between Nepal and Bihar was flagged off by Nepal's Minister for Physical Infrastructure and Transportation Raghubir Mahaseth and Indian Ambassador Manjeev Singh Puri from Kathmandu this evening. 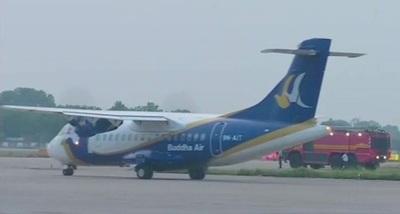 The 45 seater air-conditioned deluxe bus will complete 660 KM journey between Kathmandu and Bodhgaya in 16 hours. The bus will leave Kathmandu daily at 7 PM and reach Bodhgaya the next day at around 11 AM. The bus fare would be Rs. 1,250. 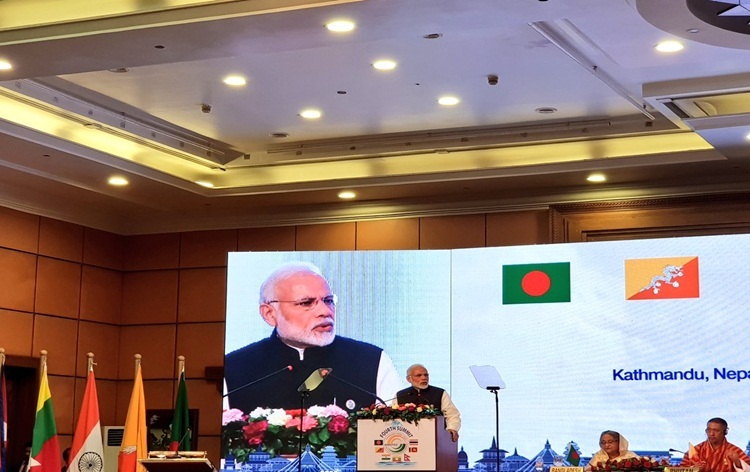 During Prime Minister Narendra Modi's Nepal visit in 2014 a Motor Vehicle Agreement for Passenger Traffic was signed to facilitate seamless and hassle-free movement of people of both countries, further enhancing people to people contact and promoting tourism. The Kathmandu-Bodhgaya is the 5th bus service from Nepal side. The bus services from Kathmandu to Delhi and Varanasi, Mahendranagar to Delhi and Pokhara to Delhi had already been commenced. The 6th service between Janakpur and Patna is scheduled to start from Sunday.